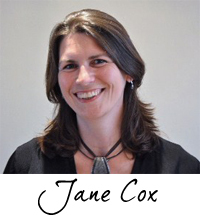 An executive coach with experience of working with senior leaders at board and director level in FTSE 100 organisations. I have over 20 years business experience and have held Director and senior manager positions in Financial Services, Retail and Hospitality. In my last corporate role I had a global remit, and coached clients at all levels of the organisation across functional disciplines, cultures and geographies. I am a Chartered Member of the Chartered Institute of Personnel and Development, and a Fellow of the Institute of Leadership & Management, with a Master’s Degree in Coaching and Behavioural Change from Henley, a triple accredited business school. Experienced in delivering development and career coaching to prepare leaders for executive roles, I am also a skilled team facilitator and accredited to deliver a range of tools, such as MBTI steps I&II, ESCI as well as other psychometric tests. My move into coaching full time was prompted by a life changing experience in 2010. It reminded me that life is short and precious. It made me stop and reflect on my life’s purpose, what I want to do, and who I want to be. It became clear to me I wanted to do even more coaching. I really enjoy it and want to continue making a positive difference to people’s lives. I enjoy helping others achieve their potential. By working with you, I can help you and your organisation achieve yours. Work with me to be the best you can be.